By Dana Tims on Friday, August 22nd, 2014 at 9:45 a.m.
Sarah Palin took to Facebook to say "Told-Ya-So" over a prediction she made in 2008 about Ukraine. Former Alaska Gov. Sarah Palin is nothing if not controversial when it comes to the claims she makes. Now a Fox News commentator, Palin leaps into today’s PolitiFact Oregon Roundup in two very different ways. She deserves top billing, so let’s get going. When a Texas grand jury indicated Republican Gov. Rick Perry recently, Palin rushed to his defense, taking square aim at the Democratic district attorney. Palin, in noting that DA Rosemary Lehmberg had been busted for drunk driving, added this: "The extent of the D.A.’s serious drinking problem was uncovered, evidence included her purchase of 72 bottles of vodka in just one store alone, in just over a year." PolitiFact Texas’ check turned up receipts indicating that Lehmberg bought 74 bottles of vodka at several stores over about 15 months through April 2, 2013. That’s nearly five bottles per month for those scoring at home. Palin iced this one with a claim rated True. Palin’s claims about Lehmberg didn’t stop at alcohol consumption. In the same commentary referenced above, she said that under Lehmberg, the "Travis County D.A.’s office" convened the grand jury that indicated Perry. Early on, the check found, Lehmberg’s office recused itself. A senior district judge from another city impaneled the grand jury. That judge, in turn, picked a San Antonio lawyer to prosecute the case. And just like that, the Palin pendulum swings from True to False. Television viewers watching scenes from riot-torn Ferguson, Missouri, were startled to see military-type vehicles patrolling the streets. Sen. Rand Paul, R-Ky., weighed in, saying, "Washington has incentivized the militarization of local police precincts by using federal dollars to help municipal governments build what are essentially small armies…"
PolitiFact National found that the government’s 1033 program, which gives surplus military equipment to local law enforcement agencies, "has contributed to police militarization by offering free equipment." For that and related reasons, Paul walked away with an armor-clad True rating. In hotly contested races around the country, Social Security is a front-burner issue. In the race to fill Iowa’s open U.S. Senate seat, the Democratic Senatorial Campaign Committee opened up on Republican nominee Joni Ernst, claiming she "would be another tea party vote in the Senate. Ernst would privatize Social Security." The ad closed by nodding briefly to the roundup’s star of the day by adding: "Palin, Ernst: Too extreme for Iowa." The check showed that Ernst, in a recent debate, did say "pretty clearly that she supports ‘reform’ for Social Security." Using the word ‘privatization,’ however, overstated her position, the story concluded. Since the statement was partially accurate but left out important details, the claim was rated Half True. Conservative talk show host Michael Medved recently took on the notion that blacks are more likely to be victimized by police, saying the truth is exactly the opposite. "More whites than blacks are victims of deadly police shootings," he said. In absolute terms, PunditFact found, that is accurate. What Medved omitted is the fact that America has five times more whites than blacks. When it comes to the grim business of comparing death rates, blacks are "about three times more likely than whites to die in a confrontation with police." Leaving out those significant details earned his claim a rating of Half True. Lots to mull over in today’s roundup, right? 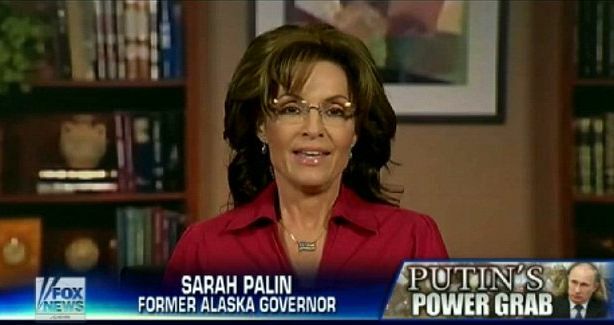 And don’t give us that ‘everything is palin’ compared to Sarah’ stuff. So lob your comments our way and let’s get the conversation started.